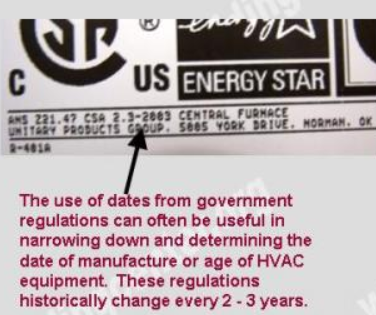 How to determine the date of production/manufacture or age of Semco® HVAC Systems. The date of production/manufacture or age of Semco® HVAC equipment can be determined from the serial number located on the data plate. Description: Unknown, however it is believed (but not confirmed) that the two digits following the letter “M” in the middle of the serial number represents the year of manufacture, and the next two digits represent the week of manufacture.